King Prawns (Melicertus latisulcatus) were first trawled from the Spencer Gulf by the fishery investigations ship Endeavour in 1909. The first commercial attempt at prawn trawling by a Danish seine boat was made in 1948, which was unsuccessful. 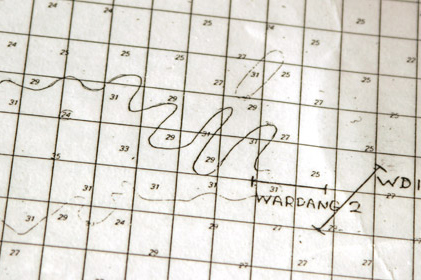 The South Australian Department of Fisheries and Fauna Conservation carried out exploratory trawling using the Weeruta between 1957 and 1964, again with no commercial success. A number of Port Lincoln fishermen had limited success in 1961 on the FV Mameena. The industry showed its true potential through the work of a Port Lincoln fisherman, Roger Howlett, in 1967, who began extensive surveying of the Spencer Gulf in July 1967. After two and a half months of surveying the southern area during daylight and dark he finally caught the first commercial quantity of prawns in the Spencer Gulf: at the bend of the Gutterin October 1967. Other fishermen joined the new fishery and it rapidly developed. In March 1968, the Director of Fisheries (at the time) introduced restricted entry and 25 prawn permits were granted. These early management measures were introduced to prevent over-exploitation of the resource and over-capitalisation within the fishery and to rationalise the development and quantify the extent of the resource. It was in 1968 that the Spencer Gulf and West Coast Prawn Fishermens Association (the Association) formed and it was in these early days that the fishermen made gentlemens agreements to restrict fishing. The Spencer Gulf prawn fishery also documented catch and effort statistics from its inception in 1968. (fishermens logbooks). 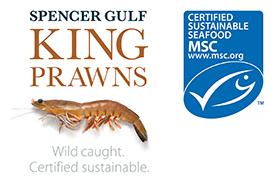 The Spencer Gulf and West Coast Prawn Fisheries began as separate fisheries when restricted entry was implemented. They merged soon after and essentially became one fishery: prawn fishermen could fish in either the Spencer Gulf or in West Coast fishing grounds. It was in these early days that fishermen spent much of their time at sea in the hopes of catch prawns, spending up to 300 nights a year out fishing. The fishery was only restricted to fishing in areas greater than 10 metres depth and little was known about prawn movements, so fishing was conducted across the entire Spencer Gulf and all along the West Coast of South Australia. Five zones were then created: two in the Spencer Gulf; and three in the West Coast. These zones allowed restricted access for fishing, however, the zones in the Spencer Gulf did not meet the needs of the fishermen and they were merged in 1971. Fishing was still permitted in the Spencer Gulf and within the zones along the West Coast of South Australia. In the 1970s many of the prawn fishermen also had tuna fishing permits. The State Government of South Australia introduced a single permit entry system in 1972/73, where an individual or company could not hold both a prawn and tuna fishing permit. Fishermen were made to choose between the prawn and tuna permits. Many of the choices made at that time are still evident today with many of the permits (now called licences) still held by the family (passed from father to son). Some are even experiencing their third generation of operation! By 1975 there were a total of 34 licences issued for prawn fishing. A further five licences were granted in 1975, increasing the total number of licences from 34 to 39, as is still evident today. In 1976 zones were abolished and the Spencer Gulf and West Coast Prawn Fisheries separated. Fishing could take place in the Spencer Gulf or along the West Coast of South Australia. Fishermen had the option to hold a fishing permit in the Spencer Gulf or along the West Coast, with most choosing to remain in the Spencer Gulf. The historic West Coast Prawn Fishery zones are still evident, forming the boundaries within which fishing can occur today. The three distinct fishing areas within the West Coast Prawn Fishery are: Ceduna (Far West Coast); Venus Bay; and Coffin Bay. The regions of fishing areas have not changed since this time, although there has been a great deal of progress made in other areas of the fishery. Since the inception of the fishery to present, the prawn catch has remained relatively consistent in the Spencer Gulf Prawn Fishery (approximately 1,800 tonnes per year), although the effort expended has greatly reduced (currently 54 nights fishing in the 2012/13 season). The West Coast Prawn Fishery has, however, not been as consistent. Catches have been as much as nearly 300 tonne for a year to as low as no catch for several years (with the fishery being closed). The West Coast Prawn Fishery is greatly influenced by oceanic conditions, therefore prawn fishing catches have fluctuated over the years.